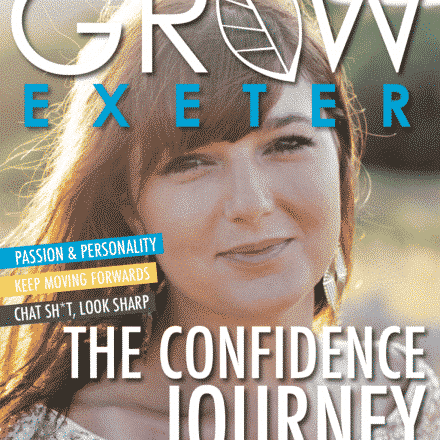 Order now your copy of Grow Exeter Magazine July edition. As with many things in the world nowadays, the subject of the environment seems to have become an increasingly polarising one. Whether a staunch advocate for environmental issues or a climate-change-denier and muscle car fan, there seems to be less middle-ground between these camps to pitch yourself in. Maybe that’s a good thing? Maybe it’s not? For what it is worth, my personal belief is that, as a species, mankind has the knowledge and ability to do a far better job of looking after our planet than we currently do. As a sci-fi fan, I imagine a scenario where an alien race looks at Earth from afar, wondering if it may hold secrets or hidden value for them to benefit from. It strikes me that, if I were one of those aliens, I would probably think that mankind had already purchased a new home planet and were running this one into the ground on the way out. After all, what creatures would knowingly destroy their sole habitat, pollute their food chain and, arguably, shorten the future lifespan of their own species? 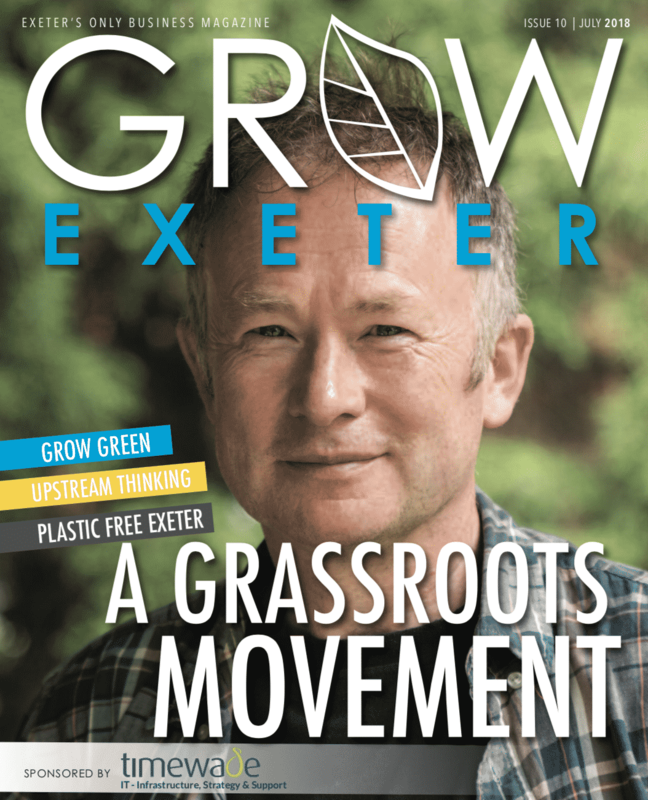 In this edition, we consider the theme of ‘Environmental Care’ and we’ve spoken to some of the most prominent and forward-thinking people in our city when it comes to making Exeter a greener and cleaner place to be. This is truly a subject that should sit closely at the heart of any business in our city as it has personal, economical and long-lasting ramifications. To name but a few, we speak with Toby Buckland, expert horticulturist and TV/radio presenter, who talks about the need for urban and green spaces to be more closely married; Kirsty Barker and Sara Palmer , from Plastic Free Exeter, who are championing the elimination of single-use-plastics in our city and also Harry Barton, Chief Executive of Devon Wildlife Trust, who explains the business benefits for caring for our natural environments. That is only scratching the surface though as this month’s magazine is bursting with challenging and thought-provoking content, including an introduction to our Grow Green campaign, an exciting environmental charter launched just a few weeks ago which is aiming to get 1000 businesses joining together to make Exeter a greener place to live and work. So, take a few moments out of your busy schedule, sit back, relax and be inspired. Oh, and enjoy the heatwave!